Have you lost all your teeth? Do you have difficulty eating using your existing dentures? Learn how dental implants can help you eat better, smile more, and live a healthier life! Full arch replacement of missing teeth with dental implants has transformed lives of many people. No more loose dentures, adhesives, and irreversible bone loss. 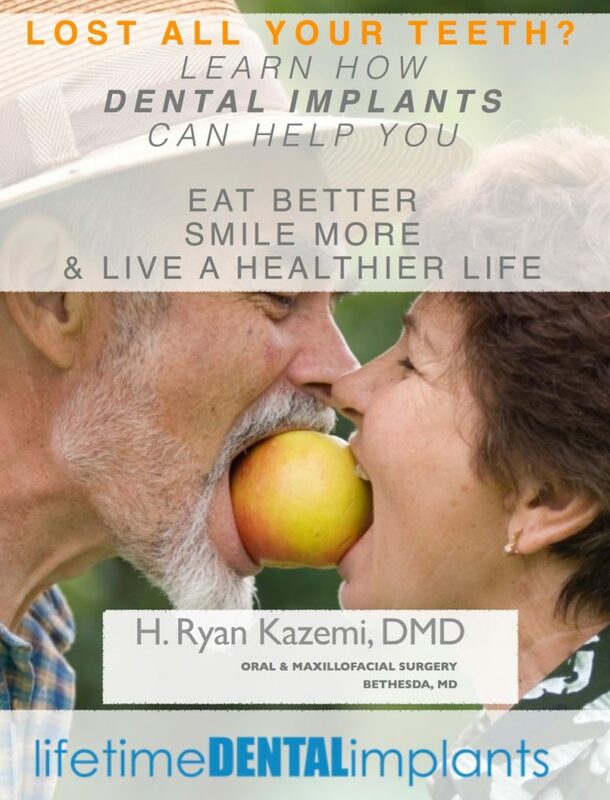 In this e-book, you’ll learn about treatment options and fees at Lifetime Dental Implants.